The Center for Neuroscience covers the major sub-disciplines and techniques in neuroscience with special emphasis on sensory physiology, the molecular-genetic basis of neuronal function and its development, the search for genetic markers in psychiatric diseases the study of human cognition and the development of improved methods to treat brain injury and disease. 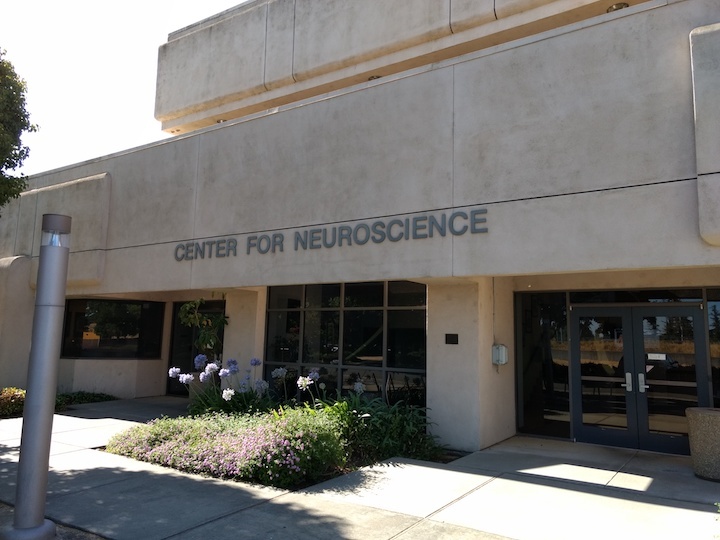 State-of-the-art technologies at the Center for Neuroscience include the Zeiss 510 confocal, spectral imaging, and multi-photon imaging system, two image analysis workstations including Volocity 3-D analysis and deconvolution software and Huygens Professions Deconvolution software, and the 3 Tesla MRI Scanner for neuroimaging studies conducted by UC Davis faculty. The Center for Neuroscience's BrainMaps.org is an interactive multiresolution next-generation brain atlas that is based on over 20 million megapixels of sub-micron resolution, annotated, scanned images of serial sections of both primate and non-primate brains and that is integrated with a high-speed database for querying and retrieving data about brain structure and function over the internet. Currently featured are complete brain atlas data sets for various species, including Macaca mulatta, Chlorocebus aethiops, Felis catus, Mus musculus, Rattus norvegicus, Tyto alba, and many other vertebrates.